At first glance, you may think that moving isn’t that hard. You just have to throw a few things together in some boxes, pack them up, put them in a car or van, and you are all set to go. Moving, in reality, is nothing like this. There is indeed a lot more to moving than you might think. And if you are moving from London to Bergen, there is even more to think about and do beforehand. Fortunately for you, Moving Service is here to help and we can assist you with your international move from start to finish. You do not have to do it all on your own. Moving is a time consuming task that requires a lot of careful planning. In order for your move to go smoothly, we provide our customers with a moving checklist. This enables clients to know what to do beforehand. A lot of people are unsure of what they are supposed to do before moving and that is why we have come up with the concept of a moving checklist. Once a task has been carried out from your list, you can tick it off. So let us help you. Call today on 020 8746 4402. Bergen is the second biggest city in Norway. It is known mainly for its lovely nature and its excellent hiking and cycling opportunities. It is also well-known for its cultural life. 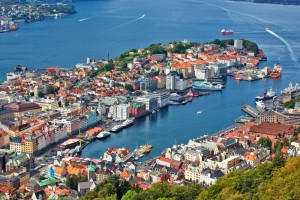 The city of Bergen is situated in the west of Norway and is the most mountainous in Norway. What makes this city so spectacular is that its town centre is surrounded by hills and mountains and stunning scenery. You won’t believe how beautiful it is. There are so many attractions in Bergen that it’s impossible to get fed up here. However, despite the numerous attractions, what most tourists find the most compelling is just the general atmosphere of the city. So, instead of admiring attractions, you can just stop at a cafe, admire the views and hike the mountains if you really feel like it. However, here are a few attractions that are worth viewing nevertheless: Bergen art museum, the fish market, Bergen aquarium, and St. Mary’s Church. In addition, you could visit the Bergenhus Fortress and Brygenn. European moving in BergenHere at Moving Service we offer a comprehensive list of removal services for you to choose from. Our services are as such: packing and boxing, storage, man and van, home removals, commercial removals and international removals. 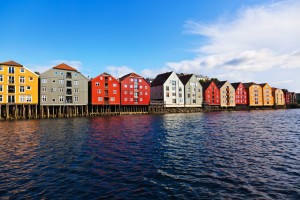 If you are moving from London to Bergen, it would be a good idea to enlist help, as there is a lot to think about when it comes to moving abroad. With our international contacts, we can make your move easy and entirely hectic-free. In addition, we boast a team of expert movers that is diligent, efficient and highly trained. You will not be disappointed with them, we can assure you. Having a professional removals company help with your London to Bergen move can be beneficial in numerous ways. You will save time, and you can spend those free extra hours on something far more interesting; you’ll save energy too; and you will save stress, because you won’t have to worry about the move and whether it will go according to plan. We can take care of it all and we can assure you that it will go according to plan. All of our moves are well planned and well organised so that each and every move is carried out smoothly. For a free moving quote, call us on 020 8746 4402.